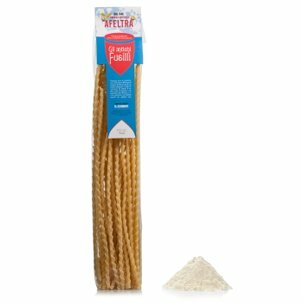 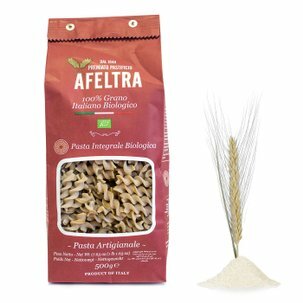 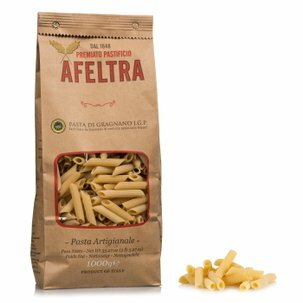 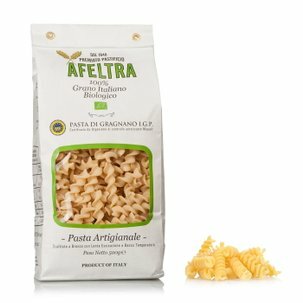 The vesuvi from Afeltraare made with carefully selected wheat semolina originating from 100% Italian wheat that is mixed with water from the Lattari Mountains, extruded through bronze dies and slowly dried for up to 48 hours. 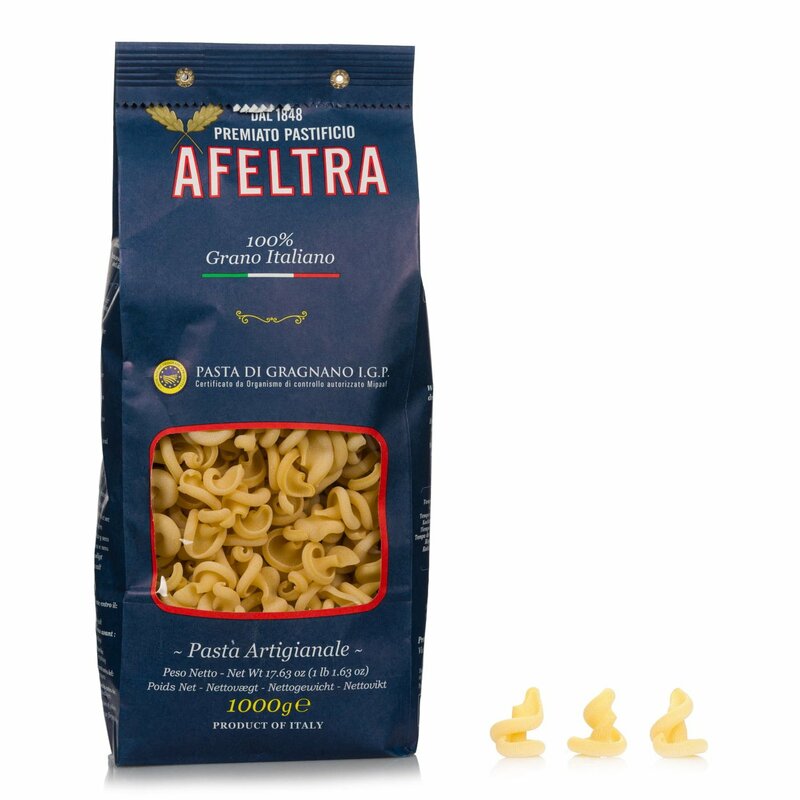 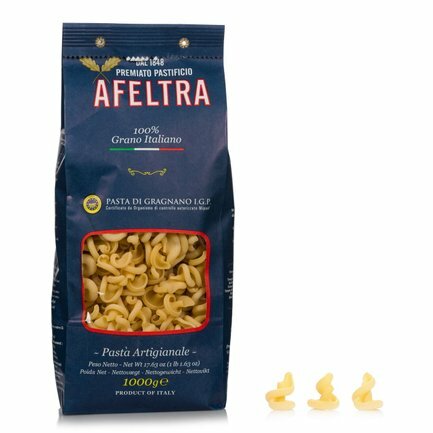 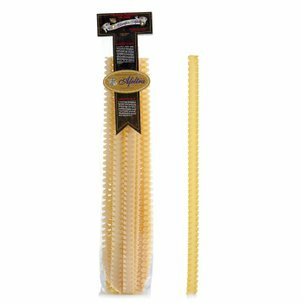 This particular shape is perfect with simple sauces as the extraordinary flavour of the pasta and its curves are perfect for holding the condiment, while keeping the flavour of the pasta present. 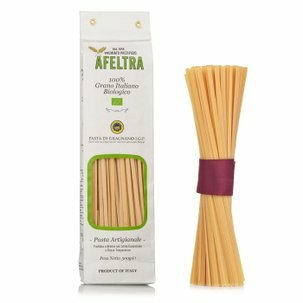 Perfect for a simple tomato sauce or light vegetable sauces in order to fully appreciate the flavour of the pasta.